So far, “intelligence” has been used to exclusively refer to individual human cognitive ability that is quantifiable by standardized intelligence tests. Of course, “intelligence” has been studied in depth in fields other than cognitive psychology, and the insights that come from sociology, political science, biology and even machine learning fields can illuminate the questions psychologists have about what it really means to be intelligent. This section began by asking, what is intelligence exactly? As humans learn more about not only our own minds but the minds of animals, bacteria, computers and abstract systems, we can see that “intelligence” is quickly outgrowing its old definitions. 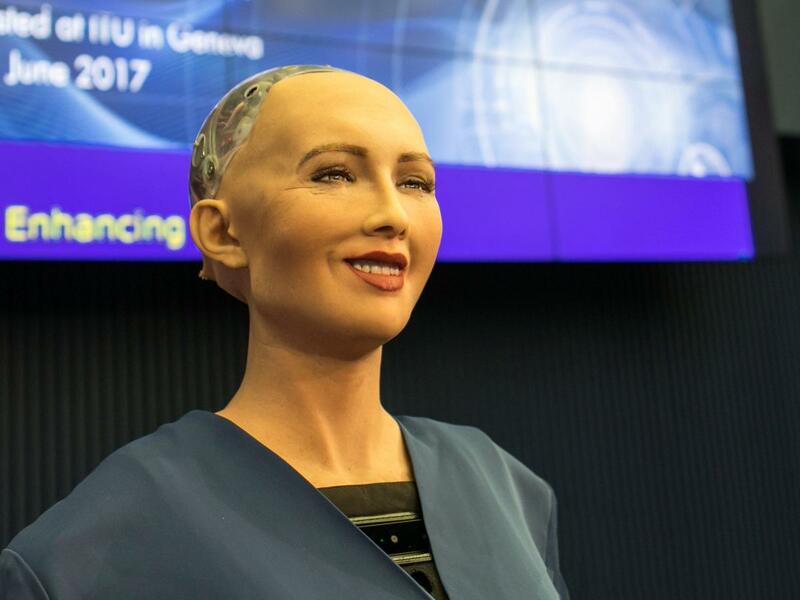 While the media has recently followed the development of AIs like Sophia and AlphaGo, scientists have debated for decades about the evolution of human consciousness. Impressive AIs have increasingly cast light on our own organic human intelligence, with the very way we conceive of intelligence itself beginning to change. Roughly a generation after the second industrial revolution in Europe, Alfred Binet created a measure intended to isolate and rank an individual child’s cognitive capacity relative to their peers. In other words, he devised the first IQ test. Now, decades later in the information age, theorists have become interested in emergent group intelligence, i.e. how data processing and synergistic collaboration within a group of individuals can be regarded as its own kind of intelligence. While psychology concerns itself with an individual’s thoughts and behavior, collective intelligence (or CI) is all about the aggregate behavior of a group. The idea of a “c-factor” analogous to Spearman’s g may have seemed outlandish a few decades ago. But today, the living networks created by social media and our rapidly evolving data-processing technology means scientists can actually watch mass activity and decision making unfold like never before. Understanding how a group can act intelligently as a mass has implications for everything from voter behavior to crowdsourcing software. While scientists used to implicitly assume that intelligence was discrete and individual, Collective IQ theorists are now interested in how elements can organize synergistically and process information above and beyond the ability of each element. It’s as though the group becomes a brain itself, with intelligence distributed across its members, “thinking” by consensus, communication and mobilizing individual skills to enhance the entire network. 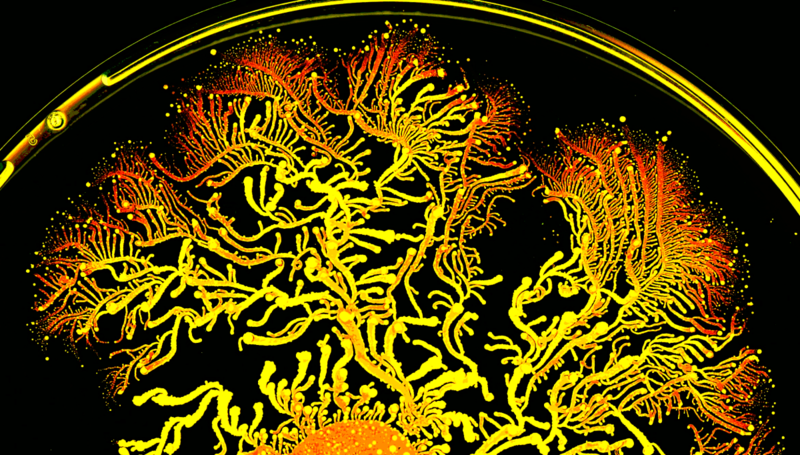 A “symbiotic intelligence” is not just science fiction. Animals, bacteria and artificial systems have been shown to evolve through feedback with their own environments and show a level of knowledge that exceeds the combination of their elements. Woolley, Chabris, Pentland, Hashmi, & Malone put forward statistical evidence for a c-factor in a 2010 research paper detailing the performance of 192 randomly created groups on a standardized task. Factor analysis revealed an underlying c-factor that explained intelligent behavior that was beyond the aggregation of the individual IQs of the members. Collective intelligence is essentially collaboration on a mass scale. Such cooperation has been found in the behavior of elementary particles, bacteria, plants, insect swarms, and human societies numbering in the millions. Rather than collective IQ being a futuristic concept, theorists have stressed how all of earth’s history has essentially been driven by organisms, “learning machines,” that form the components of a global superorganism, or complex adaptive system. A crucial distinction between collective IQ and the mere aggregation of individual IQs is that an intelligent group has the capacity to respond and adapt to its environment without external guidance. Without the need for outside control, intelligent collaboration is understood to have an inherently democratic, non-hierarchical essence. Some theorists have suggested how open source intelligence will one day outperform proprietary software developed by businesses, or that the power of the media will inevitably be transferred to the collective. Others have discussed how “convergence culture” will likely reform the self-contained learning styles of formal education and promote a more egalitarian sharing of knowledge. Whatever the future holds, it’s clear that psychology as a discipline will have to adapt. In time, not only will human intelligence develop and change, but the way in which we understand, measure and use that intelligence will change as well.